It is already common knowledge that individual investors do not usually have the necessary resources and abilities to properly research an investment opportunity. As a result, most investors pick their illusory “winners” by making a superficial analysis and research that leads to poor performance on aggregate. Since stock returns aren’t usually symmetrically distributed and index returns are more affected by a few outlier stocks (i.e. the FAANG stocks dominating and driving S&P 500 Index’s returns in recent years), more than 50% of the constituents of the Standard and Poor’s 500 Index underperform the benchmark. Hence, if you randomly pick a stock, there is more than 50% chance that you’d fail to beat the market. At the same time, the 30 most favored S&P 500 stocks by the hedge funds monitored by Insider Monkey generated a return of 15.1% over the last 12 months (vs. 5.6% gain for SPY), with 53% of these stocks outperforming the benchmark. Of course, hedge funds do make wrong bets on some occasions and these get disproportionately publicized on financial media, but piggybacking their moves can beat the broader market on average. That’s why we are going to go over recent hedge fund activity in Biogen Inc. (NASDAQ:BIIB). Biogen Inc. (NASDAQ:BIIB) has seen an increase in hedge fund interest recently. There were 56 smart money investors with long positions in the company at the end of the third quarter, which is up by 3 from the previous quarter. Despite this increased enthusiasm and a solid number of shareholders, Biogen Inc. was not one of the 30 most popular stocks among hedge funds in Q3 of 2018. But just because it wasn’t among the 30 stocks hedge funds are piling on, it doesn’t mean it is not widely popular when compared to companies with similar market caps. In any case, we are going to examine this stock furthermore in this article. To the average investor there are tons of metrics shareholders use to size up publicly traded companies. Some of the most useful metrics are hedge fund and insider trading activity. We have shown that, historically, those who follow the top picks of the elite hedge fund managers can outclass the S&P 500 by a solid margin (see the details here). We were recently writing about Biogen Inc, in the article in which we presented Alex Denner’s opinion on the stock from the Delivering Alpha Conference, held in July. Alex Denner is Sarissa Capital’s founder and portfolio manager, and he presented Biogen Inc as his best idea at this conference. He said that the company’s core business is already producing a giant amount of cash flow, and that he expects it to do so in future. Alex Denner also pointed out that the company has a very promising pipeline, and that he has high hopes about the company’s new drug called Spinarza. More details about Alex Denner’s perspective on Biogen Inc you can read in our article –Sarissa Capital’s Alex Denner bullish on Biogen (BIIB). Taking into account Alex Denner’s optimism about Biogen, we are still not ready to make our final call on the stock, which is why we will now take a peek at the fresh hedge fund action surrounding Biogen Inc. (NASDAQ:BIIB). What have hedge funds been doing with Biogen Inc. (NASDAQ:BIIB)? At the end of the third quarter, a total of 56 of the hedge funds tracked by Insider Monkey were long this stock, a change of 6% from one quarter earlier. 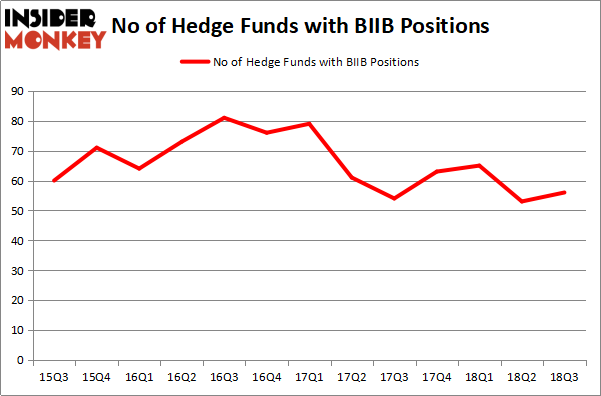 By comparison, 63 hedge funds held shares or bullish call options in BIIB heading into this year. With hedgies’ positions undergoing their usual ebb and flow, there exists a few key hedge fund managers who were adding to their holdings substantially (or already accumulated large positions). More specifically, AQR Capital Management was the largest shareholder of Biogen Inc. (NASDAQ:BIIB), with a stake worth $824.4 million reported as of the end of September. Trailing AQR Capital Management was Arrowstreet Capital, which amassed a stake valued at $505.2 million. 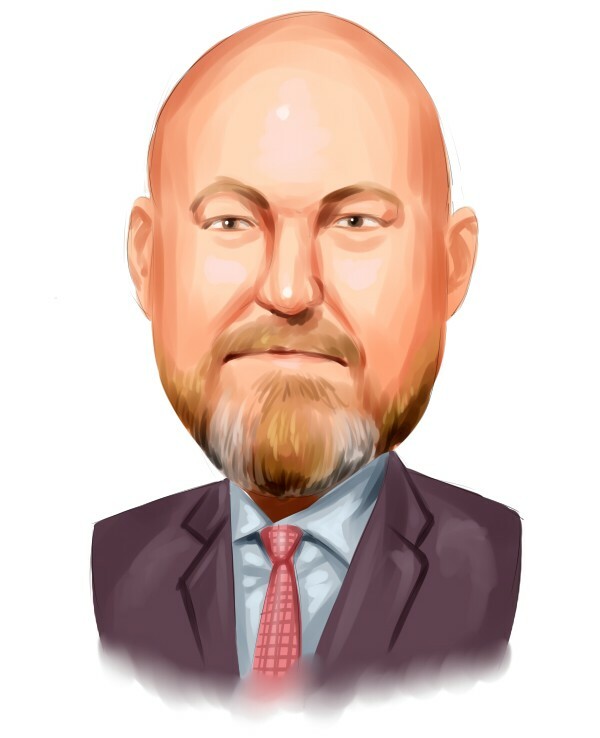 OrbiMed Advisors, Renaissance Technologies, and Sarissa Capital Management were also very fond of the stock, giving the stock large weights in their portfolios. Now, specific money managers were breaking ground themselves. Impax Asset Management, managed by Ian Simm, established the most outsized position in Biogen Inc. (NASDAQ:BIIB). Impax Asset Management had $16.2 million invested in the company at the end of the quarter. Michael Platt and William Reeves’s BlueCrest Capital Mgmt. also made a $7.4 million investment in the stock during the quarter. The following funds were also among the new BIIB investors: Michael Castor’s Sio Capital, Paul Marshall and Ian Wace’s Marshall Wace LLP, and Arthur B Cohen and Joseph Healey’s Healthcor Management LP. Let’s go over hedge fund activity in other stocks similar to Biogen Inc. (NASDAQ:BIIB). We will take a look at Itaú Unibanco Holding S.A. (NYSE:ITUB), Becton, Dickinson and Company (NYSE:BDX), The TJX Companies, Inc. (NYSE:TJX), and Eni S.p.A. (NYSE:E). All of these stocks’ market caps are similar to BIIB’s market cap. As you can see these stocks had an average of 28 hedge funds with bullish positions and the average amount invested in these stocks was $1.31 billion. That figure was $3.43 billion in BIIB’s case. The TJX Companies, Inc. (NYSE:TJX) is the most popular stock in this table. On the other hand Eni S.p.A. (NYSE:E) is the least popular one with only 7 bullish hedge fund positions. Compared to these stocks Biogen Inc. (NASDAQ:BIIB) is more popular among hedge funds. Considering that hedge funds are fond of this stock in relation to its market cap peers, it may be a good idea to analyze it in detail and potentially include it in your portfolio.